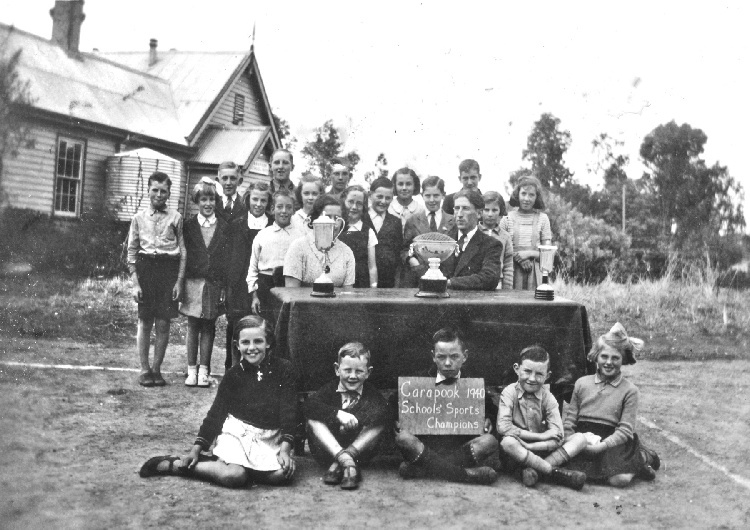 Photograph shows the old Carapook School SS 1969, with the residence still attached. 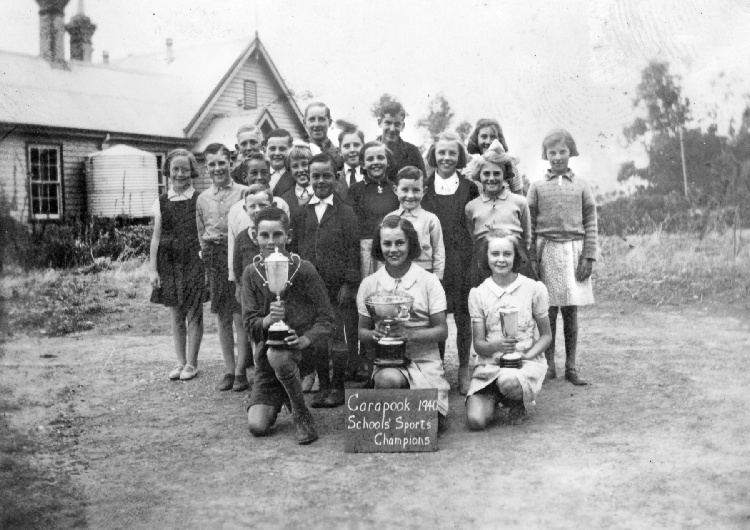 The photograph appears to be of all the pupils at the school in 1940. 7. Laurie Burchell, 8. Stan Rooke, 9. Ruth Povey, 10. June Cotter. 1. Patricia "Patty" Herring, 2. Graeme Anson, 3. William "Bill" Herring, 4. Tony Bunny, 5. Georgina Scott. 1. Shirley Anson; 2. Ron McCallum; 3. Kevin McCallum; 4. Joyce McCallum; 5. Patricia Herring; 6. Lavena Herring; 7. Ruth Povey. 1. Graeme Anson, 2. Bill Herring, 3. Tony Bunny, 4. 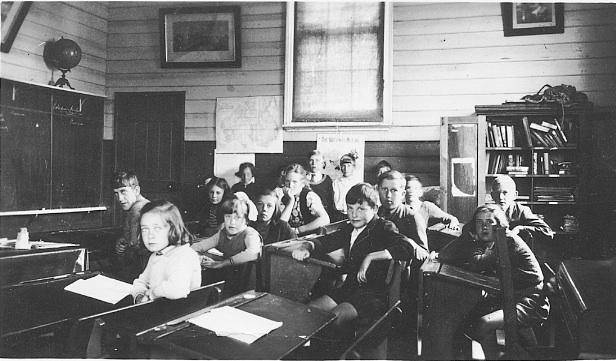 Georgina Scott. 1. Kevin Povey, 2. Dorothy Herring, 3. Wilma Murray. Thanks to the Herring family for many of the names!